Suffering from joint pain or arthritis stinks. And when you’re in that much pain, day in and day out, you’re willing to do and try just about anything for relief. But when I look at Big Pharma’s options for joint pain relief and arthritis, it sends a chill down my spine. The list of dangerous side effects (some are potentially fatal!) is so long it makes my head spin! Live in constant pain… or play Russian roulette with your health and life by taking one of Big Pharma’s drugs. I want you to know that’s NOT a choice you have to make. And today I want to tell you about a natural remedy that can help you live the pain free life you deserve. It’s a natural inflammation-fighter that comes from the gum resin of the Boswellia serrata tree, which is found in (you guessed it) India. For centuries, the tree’s fragrant, gummy sap, called oleoresin, has been tapped for its medicinal properties. And it’s a real powerhouse when it comes to treating arthritis, joint pain… even back pain. Oleoresin contains a mixture of naturally occurring organic acids. These acids inhibit pain and inflammation-causing enzymes. They also limit the synthesis of fatty immune system molecules called leukotrienes. Those fatty molecules contribute to inflammation. Is Boswellia Effective for Arthritis Pain? One six-month study compared boswellia extract with the prescription drug valdecoxib for treating patients with osteoarthritis of the knee. Half the patients got 10mg of valdecoxib three times a day. The others got 333mg of boswellia extract (containing 40% boswellic acids) three times daily. After one month, the patients taking valdecoxib seemed to be doing better than those on boswellia. In the second month, the boswellia patients showed a significant decrease in pain. And the most exciting part? Even when they stopped taking the boswellia, their arthritis pain relief continued for a full month! The study participants who’d been on the Big Pharma drug reported that their pain was back in full-force within a day or two after they stopped taking the drug. And in a study published in the Natural Medicines Comprehensive Database, people taking boswellia extract experienced a reduction in joint pain by up to 65%! The same study showed that boswellia extract reduced pain and swelling and increased mobility in people with arthritis, osteoarthritis and other types of inflammation in their joints. Boswellia has a great track record for safety. In fact, people have been using it for thousands of years for its healing benefits. And hundreds of studies on boswellia extract prove it’s both safe and effective for treating not only osteoarthritis, but also rheumatoid arthritis. Now let’s look at valdecoxib. It was available by prescription in the U.S. in the early 2000s. It was sold under the brand name Bextra. But in 2005, the FDA forced Pfizer to take it off the market because it dramatically increased the risk of heart attacks and stroke. It also caused potentially fatal skin reactions in some people! Bextra is no longer putting innocent people at risk… at least in America. But that doesn’t mean Big Pharma’s other pain pills are safe. Those are a class of drugs that reduce inflammation. And as you probably know, if you have arthritis, your body is in a persistent inflammatory state. 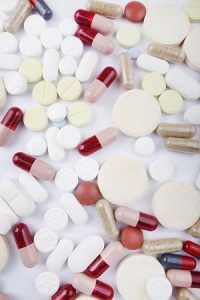 Over-the-counter NSAIDs are notorious for causing stomach irritation and ulceration and other gastro disorders. But boswellia won’t do that. In fact, at least one study found boswellia more effective at treating ulcerative colitis than the commonly prescribed sulfasalazine. Boswellia won’t increase your risk of heart attack and stroke like NSAIDs do, either. And studies show time and again that it fights inflammation just as well as any of those drugs. Boswellia is such a great natural remedy for anyone suffering from joint pain, arthritis or back pain. 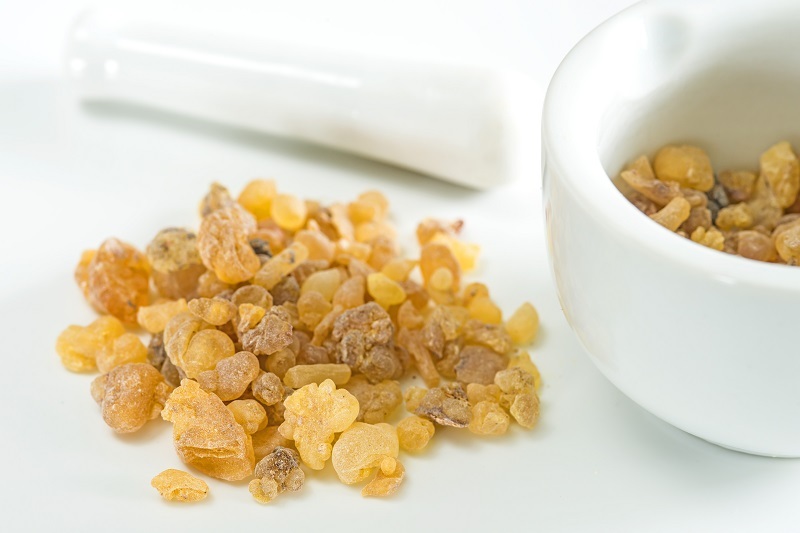 When you combine boswellia with another one of Mother Nature’s gifts, it works even BETTER. Like boswellia, turmeric has a long history of use as an anti-inflammatory as well as a long track record of safety. And recent studies show that boswellia and turmeric make a great team. The studies indicate that the synergy of their compounds makes for a more potent pain and inflammation reducer than just using either one alone. That’s why, when I set out to make the best natural pain relief product possible, I included both boswellia and turmeric. It’s called Heal-n-Soothe®. It’s helped tens of thousands of people put a stop to their pain. If you’d like to be one of them, I urge you to give Heal-n-Soothe® a try today. Sontakke S, Thawani V, Pimpalkhute S, Kabra P, Babhulkar S, Hingorani L. Open, randomized, controlled clinical trial of Boswellia serrata extract as compared to valdecoxib in osteoarthritis of knee. Indian J Pharmacol 2007;39:27-29. So looking forward to better feeling information!! in harmony with the ‘frankincense’ and ‘myrrh’ natural remedies. I heard the gold wasn’t actually gold at all but a plant referred to as gold because of its colour. I am a 70 year old widower with severe lower back and knee pain issues. I had surgery on my left knee but I still have occasional pain. My right knee is so bad I have not been able to walk without pain and, in sometimes, swelling. My lower back pain is so bad it takes me 10 to 20 minutes to even get out of bed in the mornings… and it takes another 20 to 30 minutes before I can bend down to feed my animals. Two different surgeons provided two different diagnosis; one requiring back surgery, the other painful exercises. Three years ago I walked 3 miles 3 days a week, and 5 miles 2 days a week. I ordered and received Dr. Cannone’s Heal and Soothe 2 weeks ago and am taking 3 every morning. My left and right knee pain is almost none existent and, although I still have back pain. it is reduced and I am able to get out of bed with greater ease (I still have lower back pain, but it is greatly reduced). Last Monday I walked for 20 minutes and Thursday I walked 40 minutes with no pain at all. Jokingly I say my lower back pain and stiffness is like my dad’s 1950 Buick with a Dyna-flow transmission – the fluid has to get warmed up before it will shift gears. The most significant change I have experienced: my skin is like tissue paper and I am always bumping and taring my skin. However, I have noticed that the wounds are healing much, much faster. Normally I have to keep wounds bandaged for days as they will still bleed for days when I change the bandages. I scrapped a knuckle on the cheese grater and it was completely healed by the 3rd day (and the wound was on the bend of my finger). Had it not been for the Heal and Smoothe, I would have to keep that minor wound bound for 3 or 4 days before it began to heal. If that is happening to my open wounds, then its doing the same thing inside my body. I look forward to the day my lower back pain goes the way of knee pain. 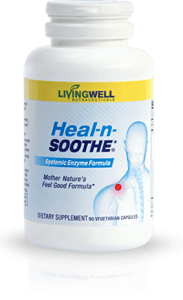 My wife and I are very interested in the product Heal-n-Soothe as we are both experiencing arthritic problems and health issues. 1. I would ask both you and your wife, to read through the FAQs and make sure you can take the product. How do I get this? how much does it cost? Sounds like something that could help my arithritis. The book discusses back pain and related conditions including sciatic pain, pain relief methods, treatment options and other useful information. We consider education to be a key element in understanding back pain and the book is a useful resource and good starting point to help you consider what is right for you. Thank you for being so generous with your information and for your dedication to finding and offering natural healing solutions. What a blessing! Can Turmeric and or Boswellia raise your blood pressure? Eva, It is not likely that either will raise the BP for the average healthy adult but if you are taking any medication or if you have any preexisting BP issue we have to suggest that you consult with your physician as only then know your complete medical history and only they can make the determination if you can take either of those two supplements in your current medical state.